About 1.9 million people visit the Minnesota State Fair in St. Paul each year, which is the largest in the United States. In addition to butter sculptures, fun rides, and gigantic hogs, this annual celebration is known for its unusual yet delicious foods on a stick. 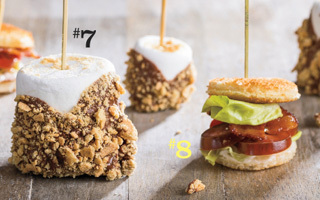 If you can’t make it to the fair this summer, recreate your own unique snacks on a stick at home with these ten creative recipes! Preheat oven to 425°F. Cook Tater Tots® in single layer in microwave oven 15 seconds; cook bacon in single layer in microwave oven 30 seconds. Cut bacon slices crosswise in half; wrap 4 tots with 4 half pieces bacon. Alternately skewer wrapped tots with 1/4-inch slices jalapeño, ending with wrapped tot. Repeat to make additional skewers. Bake skewers on cookie sheet sprayed with nonstick cooking spray 25 minutes. Heat 6 oz. pale ale in small saucepot over medium heat 3 minutes; whisk in 8 oz. Velveeta® cheese, cut into small pieces, 1 teaspoon each Worcestershire sauce and 1 teaspoon Dijon mustard. Reduce heat to low; cook until sauce is smooth and heated through, stirring frequently. Serve skewers drizzled with cheese sauce along with mixture of sour cream and green onions for dipping. Preheat oven to 400°F. Remove crusts from bread slices; cut into 2-inch square pieces. Brush with olive oil; bake 3 minutes or until toasted. 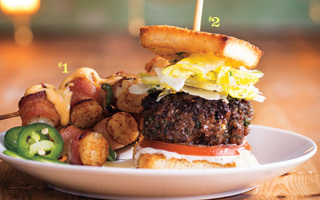 Spread 1 piece toast with Caesar dressing and skewer, followed by tomato slice, mini burger, small piece of romaine lettuce, slice of Parmesan cheese and 1 piece toast. Preheat oven to 375°F. Line 2 baking pans with parchment paper. Heat 2 tablespoons unsalted butter over medium heat, until golden brown. Add 1/4 cup brown sugar, 1 teaspoon cinnamon, 1/2 teaspoon each freshly ground nutmeg and salt, and 2 teaspoons lemon juice to butter; stir to combine. Add 1 pound peeled, cored apples, diced into 1/2-inch pieces, stirring to coat. Cook apples for 5-7 minutes over medium heat until tender. Remove apples from heat and let mixture cool to room temperature (you can put them in the fridge to speed up the process). Mix together 1 slightly beaten egg and 2 teaspoons water for the egg wash. Roll out one 9-inch pie crust dough 1/8-inch thick. Cut out 18 rounds, about 2-1/2 inches each, and place on prepared pans. Using a pastry brush, lightly dab egg wash around the edge of each round and then lightly press one lollipop stick about halfway up each round. Place 1 tablespoon of apple mixture in the center of each round. Re-roll out dough and cut 18 more rounds, about 3-inches each; place over apple mixture and crimp to seal the edges. To vent the top, cut a decorative shape or prick with a fork. Place pans in freezer for 10 minutes to set. Remove trays and brush each pie pop with egg wash and sprinkle with turbinado sugar. Bake 20 minutes or until golden brown. Let cool. Preheat oven to 350°F. In large bowl, combine 1 box white cake mix, 3/4 cup Greek vanilla yogurt, 2 egg whites, and 1-1/3 cups water. Mix until smooth and pour into a greased 9 x 13 inch pan. Bake 20-25 minutes or according to directions on the box. Cut stems off of 2 containers of strawberries and halve them if necessary to create uniform sizes. 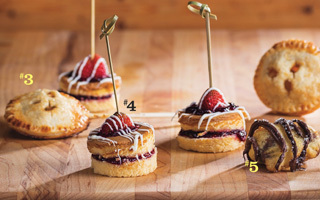 When cool, cut shortcake into 2-inch cubes or circles. If desired, cut horizontally in half and top with jam. Alternate strawberries and shortcake cubes on a skewer (about 3-4 each per stick). In a small glass bowl, melt 1 bag white chocolate chips in the microwave for about 2 minutes, stirring every 30 seconds. Once fully melted, pour chocolate into a plastic bag, seal, cut off the corner and drizzle chocolate over kabobs. Place in fridge to set. Heat oil in deep fryer to 375°F. Mix 1-1/2 cups all-purpose flour, 4-1/2 teaspoons baking powder, 1 tablespoon each granulated sugar and brown sugar, and 1/8 teaspoon salt in a small bowl. In large bowl, mix 1 egg, 1/2 cup each water and 2% milk. Add dry ingredients to wet ingredients and whisk until moistened. Dip Fun Size Snickers® candy bars into the batter and coat evenly. In batches, carefully drop batter-coated candy bars into oil a few at a time. Fry until golden brown, flipping as needed to cook evenly. Remove bars using tongs; drain on paper towel-lined plate. Insert wooden skewers into the candy bars. Decorate with melted chocolate or powdered sugar, if desired. Preheat oven to 400°F. Spray a baking pan with nonstick cooking spray. In a large skillet, cook sausage over medium heat until fully cooked. Remove from skillet; drain on paper towel-lined plate. After cooling, cut the sausages into about 20 one-inch pieces. 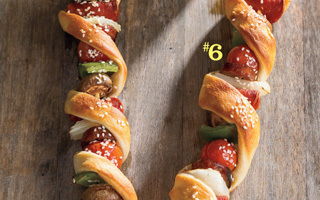 Using 10 metal or wooden skewers, alternate sausage, onion, tomatoes, bell pepper, pepperoni and mushrooms, using about two of each item per skewer. Unroll pizza dough on a lightly floured surface. Using a pizza cutter, cut strips of pizza dough lengthwise, about 1-inch wide. Starting at the pointed edge, pierce dough and spiral wrap it around the skewer, allowing the ingredients to peek through. Wrap the end of the dough around the other end to fasten. Repeat for all 10 skewers. 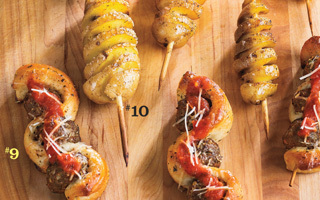 Place skewers on prepared pan and bake for 10-12 minutes until pizza dough is golden brown. Remove from oven and sprinkle with mozzarella cheese while still hot. Serve with a side of pizza sauce. Crush graham crackers in a plastic bag to make 2 cups; place in shallow bowl. Melt dipping chocolate according to package directions, adding 1-2 teaspoons of shortening to thin the chocolate, if necessary. 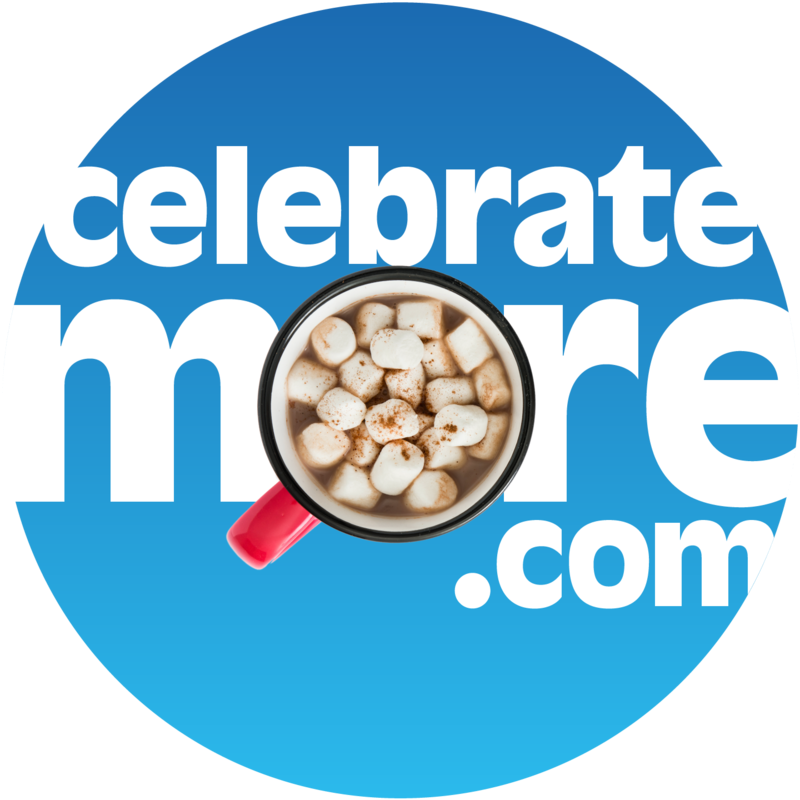 Put a large marshmallow on each skewer; dip into chocolate. Roll in graham cracker crumbs. Let set until chocolate hardens. Preheat oven to 400°F. Line baking pan with parchment paper. Cut 1 package bacon into thirds; place on prepared pan. Bake bacon for 15-18 minutes. Remove from oven and place on paper towel-lined plate to drain. Flatten several slices of white bread using a rolling pin and use a cookie cutter to cut small circles. Do the same with Boston lettuce leaves and thinly slice cocktail tomatoes. Assemble the mini sandwiches starting with the bread, spreading it with mayonnaise. Layer lettuce, tomato and bacon. Skewer each sandwich with a cocktail fork. Preheat oven to 375°F. Line two baking pans with parchment paper; set aside. In bowl, combine 1 pound lean ground turkey, 1/2 cup Italian breadcrumbs, 1/2 cup grated Parmesan cheese, 1 tablespoon each dried oregano, dried basil and dried parsley, 1/2 teaspoon crushed red pepper flakes and 2 cloves minced garlic. Form mixture into 1-inch meatballs. Using 1 can Pillsbury® Original breadsticks, thread each skewer with one dough stick, alternating with meatballs, ending with the dough. Make sure to separate dough and meatballs by about 1/4-inch so the meatballs bake through and the dough has room to expand. Bake 20 minutes or until the meatballs are cooked through. Remove from oven and sprinkle each skewer with 1-2 tablespoons shredded mozzarella cheese. Place back in oven for 2-3 minutes until cheese is melted. Serve immediately with warm marinara sauce for dipping. Preheat oven to 325°F. Thread mini Yukon gold potatoes onto long wooden skewers. Place on cutting board; using a sharp knife, carefully make a slice around the potato at a slight angle. Keep rotating the potato to continue the slice. Work your way all around until you get to the bottom of the potato. Then, carefully fan the potato out onto the skewer. Place spiraled potatoes onto a baking pan. Drizzle with vegetable oil, salt, pepper and any other seasonings of your choice. Bake for about 25 minutes. Larger potatoes will need to be baked longer. Remove from oven and they’re ready to eat.